Our current special offers are listed below. Check back often to see our current special offers on hearing aids, batteries, hearing tests and more. Do You or Someone You Love Have Hearing Loss? If so, contact us today for your FREE Hearing Evaluation and your chance to test a set of hearing aids. You'll be amazed at the difference it will make! In-the-Canal Hearing Aids $695 each! *For hearing losses not exceeding 40 decibels. Not to be combined with other coupon discounts or trade-in. Not to be applied to prior purchases. 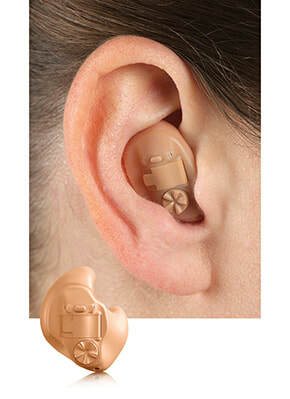 In-the-Ear Hearing Aids $495 each! **Offers are not valid on any previous purchases, current trial periods, or cannot be combined with any other special offer.